It seems as if the legalization movement is heading to a new upswing, signifying a new shift on Capitol Hill when politics of marijuana are concerned. Why is this important, one wonders, if there are states that have legalized marijuana, such as Colorado and Washington? Well, the reason is that the federal law still sees marijuana as illegal and those states are in fact operating in defiance of federal law. So what does this new “boost” mean for the end of prohibition of marijuana in America? Three people have joined in effort to end the prohibition of marijuana and came together with a push to decriminalize at least the medical use. The media calls them “the trio of rising stars in the Senate” and they are Republican Sen. Rand Paul of Kentucky and Democratic Sens. Cory Booker of New Jersey and Kirsten Gillibrand of New York. The issue of marijuana being illegal in the eyes of federal law is something that lawmakers have been successfully avoiding, for one reason or another. If they had big political ambitions, they wouldn’t dare to come anywhere near the topic of marijuana. However, times have changed and even the big Capitol is affected. The movement to end the prohibition has become so much more than that – it is a fight that aims to undo all the damage done by the criminalization of marijuana. Think of all unnecessary arrests, all homes and families broken because of it; think of racial issues included in this topic, all the crime and violence that is born on the black market and you’ll quickly realize why suddenly the politicians are jumping in the wagon. It will make them look good. And in politics, it’s all about the image, right? Although we are happy to see this significant shift that will benefit the movement, we can’t help but ask those politicians – why did it take you so long? Under the proposal by the three senators, the federal prohibition on medical marijuana would be lifted. And what a fabulous news that would be! One of the “rising stars in the Senate” says that we as a society are changing and we don’t want to punish our doctors for trying to help people. Well, certainly Mr. Paul, but the thing is that most of us have been “changed” from the beginning, and you are here now because it will benefit you. How quickly will you change your opinion if the next president of the U.S. wouldn’t be so supportive of this issue? Because we know that even though the Obama administration has ordered federal agencies to stop raiding legitimate medical marijuana dispensaries and enterprises, the federal law has turned a blind eye and continued to restrain the medical marijuana industry. Because people like you have been waiting for people like us to do all the work and then, when the time is right, you guys would jump in as rescuers. All the feelings aside, we salute the senators’ involvement and praise them for all the good this will bring to numerous patients and legitimate cannabis businesses, enabling them to access bank loans, for instance. Most importantly, the new legislation will allow scientists to study and explore cannabis as a pharmaceutical, which will lead to new discoveries that will mostly benefit the patients. Lastly, physicians will be able to use cannabis as part of a prescribed course of medical treatment. “My guess is even more tax money will be paid if marijuana businesses are allowed to put money in banks and not brown bags,” Senator Paul said for LA Times. 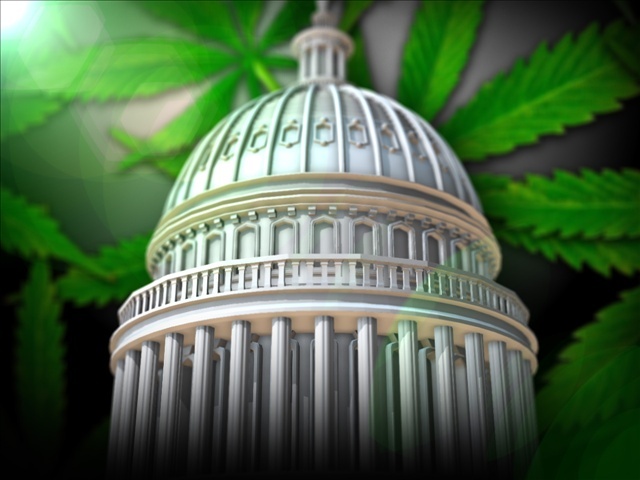 Combining ideas from advocacy groups such as the Drug Policy Alliance, the proposal calls for reclassification of marijuana. If you remember, under the current federal law, marijuana is in the same basket as heroin, which is the most dangerous category of narcotics. This means that marijuana is considered to be even more dangerous than cocaine! How was that even possible and who came up with that idea are probably the questions that will never be answered. Someone was obviously lobbying for cocaine, what else? With the new legislation, marijuana would finally find its place inside a less restrictive category, which will open the door for medical research. What is common sense when Congress and politics in general are involved? It is such a rare occurrence, that many have stopped believing its existence. Who can blame them? As reported in the same article from LA Times, it seems as if the new measure could still prove a tough one to sell in Congress, despite all the states that decriminalized or legalized marijuana and despite all the benefits for the society, starting from patients who need medical marijuana and ending with society at large that would benefit from new tax money. It was only a couple of months ago that we were celebrating the end of marijuana prohibition when Congress has passed a federal spending measure which included a provision that effectively ends the federal government’s prohibition on medical marijuana. However, that the very same bill contained a rider with a purpose of preventing federal funds from being used to “enact or carry out any law, rule, or regulation to legalize or otherwise reduce penalties associated with the possession, use, or distribution of any schedule I substance.” Schedule I substance is the category we mentioned earlier, which contains the most dangerous drugs out there, that is heroin and marijuana among others. Some people say this new measure is too aggressive and will never pass in Congress. Those people include Kevin Sabet, president of the advocacy group Smart Approaches to Marijuana. He thinks that we should enable scientists to start researching cannabis, but we shouldn’t open the gates to “Big Marijuana”, which would enable businesses to start selling weed for profit to people with a headache for instance. The senators pushing the measure believe they will succeed and promised for aggressive lobbying. After all, they have families with sick children depending on medical marijuana on their side. Let’s hope their effort will indeed be the successful one, without any hidden riders and sneaky agenda.